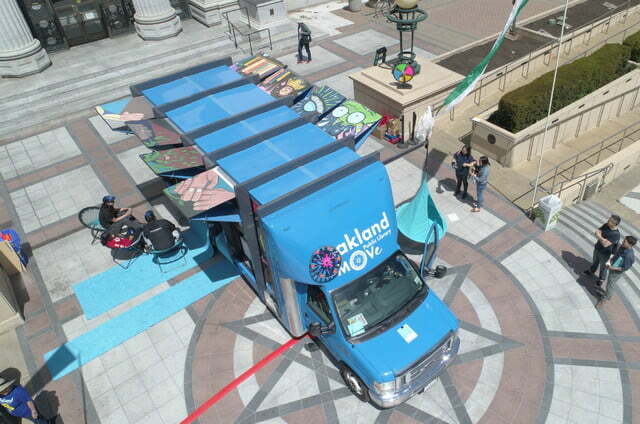 San Francisco-based Motiv Power Systems introduced an all-electric mobile blood bank on June 15, following an electric bookmobile Motiv delivered to the Oakland Public Library in May. 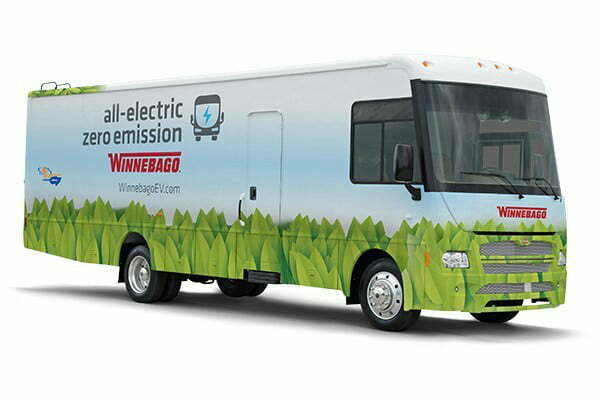 Developed in partnership with Winnebago Industries, the eBloodmobile will tour California this summer to demonstrate the vehicle’s ability to run on battery power alone, saving diesel fuel and reducing tailpipe emissions to zero. The eBloodmobile has a similar layout to blood collection outreach vehicles powered by diesel fuel. The demonstration model has four patient beds, two interview rooms, and small waiting and recovery areas. According to Motiv Power Systems, diesel-powered blood bank vehicles burn eight gallons of fuel per collection day while idling. The engines run on idle to provide power and climate control for the mobile collection site. In the course of an average 10-year daily usage life for such vehicles, using electric power instead of an internal combustion engine (ICE) would save about 34,000 gallons of diesel fuel a year and eliminate the ICE’s harmful emissions. The eBloodmobile is the first example of Motiv’s partnership with Winnebago. The two companies intend to develop a range of specialty medical vehicles such as mobile asthma treatment centers, dental clinics, and methadone clinics. The partnership will also build community service outreach vehicles in various categories. Traditionally, when mobile medical clinics and other outreach vehicles arrive at their points of service, they are set up in central locations convenient to walking traffic. And those locations highlight the problems. 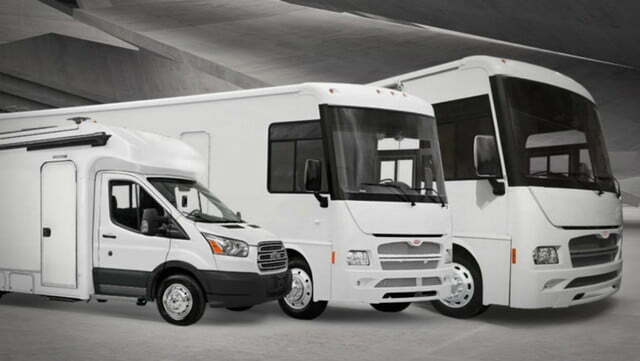 The partnership will construct all-electric outreach vehicles by placing one of Winnebago’s three all-electric zero-emission commercial shell Superstructure Interlocking Design platforms on the appropriate Motiv EPIC Dearborn chassis. 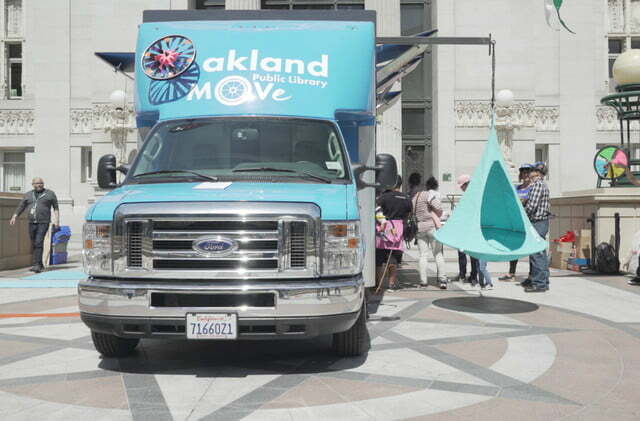 In May, Motiv Power Systems delivered an all-electric multipurpose bookmobile, the Oakland MOVe, to the Oakland Public Libary. 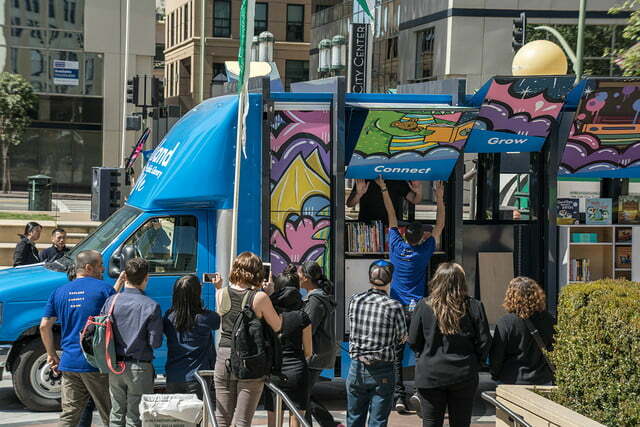 Designed to create the atmosphere of an outdoor living room, the pop-up bookmobile has side panels that open outward to expand the truck to 31 feet in length and 14.5 feet in width. 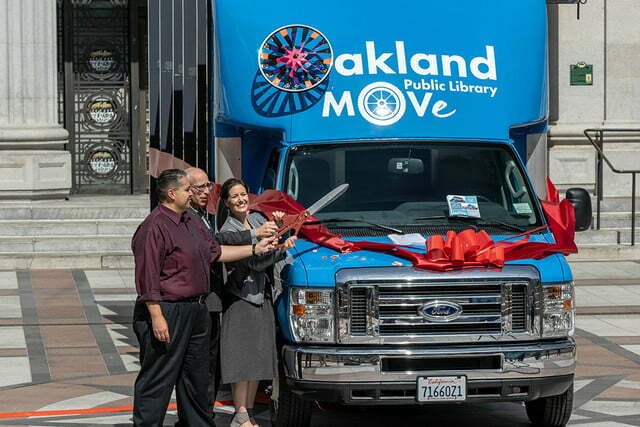 The Oakland MOVe provides access to books, areas to work on laptops and tablets, electronic charging stations, Wi-Fi hotspots, and more. The bookmobile also has shade umbrellas and portable seating. 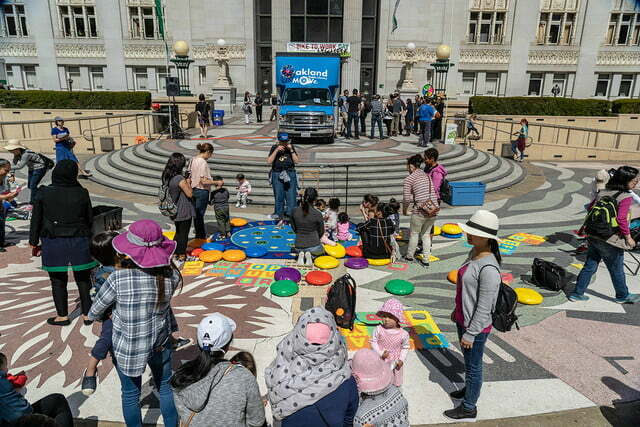 Bringing the library out into the street, the group hopes to interest and engage youth in the library’s materials and services while simultaneously modeling the environmental cleanliness of electric vehicles.